12 TREAD STEP LADDER HIRE. Fast UK Delivery. 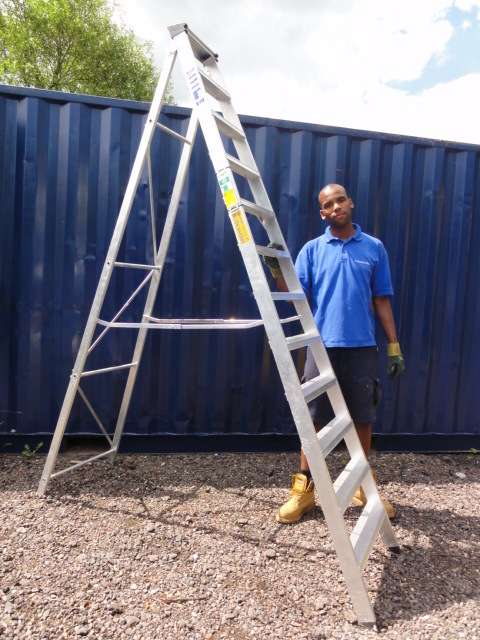 Our largest aluminium step ladder gives a 3.4m working height. Branded UK built stock conforms to British standard. UK Built Aluminium steps. These sturdy Ladders come in a range of 5 sizes from 5 – 12 Tread. Please view these on our site or if you have any questions feel free to call our PASMA trained team.